Mumbai: A thirteen member delegation headed by H.E. 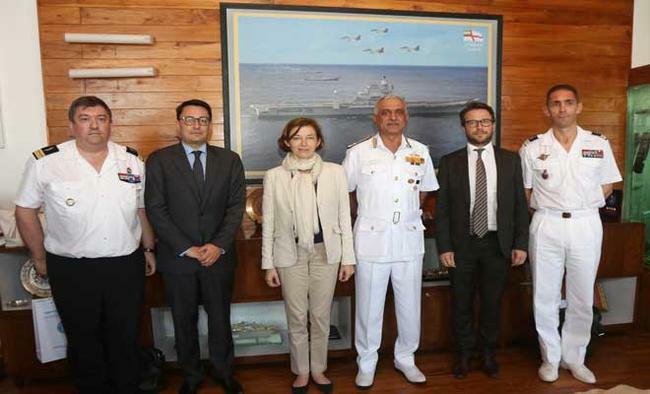 Mrs Florence Parly, French Minister for the Armed Forces visited Mumbai today. During the visit, H.E. Mrs Florence Parly interacted with Vice Admiral Girish Luthra, the Flag Officer Commanding-in-Chief, Western Naval Command. Aspects related to maritime security cooperation, bilateral exercises, ship visits, training, equipment, technology and professional exchanges were discussed. Relations between France and India are being accorded priority by both sides as seen by the recent high-level interaction between the two countries. 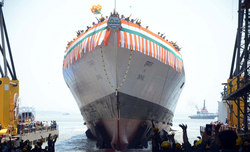 Defence cooperation has also witnessed increased emphasis by both sides. 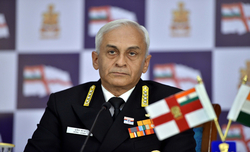 Interaction between the Indian Navy and the French Navy has, over the years, nurtured into a strong partnership based on mutual interests. 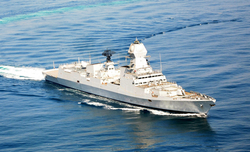 Naval cooperation had progressed most encouragingly in recent years and the increasing scale of operational interaction is indicative of a growing understanding between the two navies.